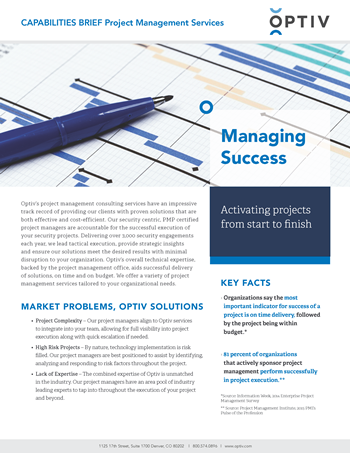 Optiv’s project management consulting services have an impressive track record of providing our clients with proven solutions that are both effective and cost-efficient. Our overall technical expertise, backed by the project management office, aids successful delivery of solutions, on time and on budget. Learn about our variety of project management services tailored to your organizational needs.